Microsoft menaikkan pembayaran lisensi ke HTC ~ " World Information "
Jakarta - HTC indeed has agreed to pay Microsoft for licenses on each Android phone. But it seems Microsoft has not been satisfied with it. Software giant is making big plans to increase setorannya. Reported, Microsoft will charge USD 7.50 - USD 12.50 per unit of mobile phone. Report Citibak Securities said, this amount rose from $ 5 which becomes the current license fee. Analysts estimate the industry, this step would increase payments HTC license to Microsoft more than 50 percent to a level comparable with that deposited capital. 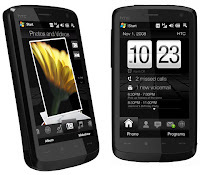 Reported by the Taiwan Economic News and quoted on Monday (5/30/2011), HTC confirmed the existence of such increase. But the Taiwanese handset vendor refused to mention the amount. Chueh-sheng Jung as Chief Financial Officer of HTC, a statement indicating the company would not mind if Microsoft so enforce this. He mentioned, quite common for hi-tech technology companies to pay a license. He added also, in the past four quarters, gross margins are at the level of satisfaction HTC approximately 29-30 percent. According to him, the increase in license fees would be balanced with the expansion of sales markets by HTC. As is known, April 2010 HTC agreed to pay a license from Microsoft. These agreements have emerged due to Microsoft's patents used in HTC phones that run Android. But no mention of what Microsoft patents used in the HTC Android handset.